Using freshly harvested herbs and spices can give a great taste, fragrance and flavour to dishes. Growing herbs and spices like coriander, mint, chillies, peppers, garlic, ginger, turmeric, saffron, etc. adds great beauty and look to the garden. Creating a herb garden is not difficult. You can grow herbs both indoors and outdoors. Most herbs are quite easy to grow in pots, still you need to take care of them. Continue reading below to learn on how to grow herbs in pots starting from seeds or seedlings, outdoors and indoors including best time to plant in pots. It is not difficult to grow your own spices and herbs, although many find it so. Actually growing herbs is easier than you think. If you choose your plants wisely, it is a great way to save on buying a fresh bunch of herbs every time you need just a little bit, if you grow your own herbs. You do not need a large growing space. Most herbs can be grown in containers. If you have very little space or live in an apartment, then you can use pots and containers, even Styrofoam containers. You should consider planting only those herbs you like to eat and which are less susceptible to pests and diseases. Most spice and herb plants are relatively free of pest and disease problems like a turmeric plant due to their oils and flavours, a deterrent against insects and animals. Almost all herbs love sun, so plant them in a sunny position, at least 4 hours of direct sun. If you want to make a Kitchen Herb Garden, then you have to select a place which receives maximum sun light or place the herb pots in bright locations. Occasionaly, you will need to move the herb plants outdoors in sun light for some time. The best herbs to grow indoors are coriander, mint, dill, chives, basil, parsley, marjoram, etc. Cold hardy herbs: Some herbs like mint, sage, thyme, chives and oregano grow well in cold. Best herbs to grow in pots: The best herbs to grow in pots are basil, chives, coriander (cilantro), lemon balm, mint, oregano, rosemary, sage and thyme. These herbs grow very fast if proper care of soil and water is taken. Herbs such as rosemary, thyme, sage and oregano grow best in free-draining soil, they are compatible to each other so they can be grown together in a large pot. Herbs like chives coriander, basil, parsley and chives needs plenty of water and may be planted together in the same pot. 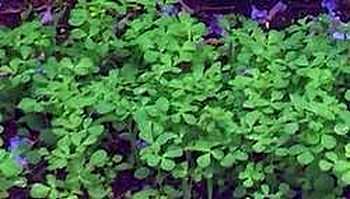 Mint is an invading plant and so the shared plant may not grow well with it. Following is a list of spices and herbs that you can grow. Stevia (Growing Stevia)- a natural calorie-free sweetener.